Located in Forney, TX, Forney Community Park is the home to a wide range of amenities including sand volleyball, tennis, soccer, softball, and basketball. LSI provided 12 Courtsider XL fixtures for their two basketball courts. 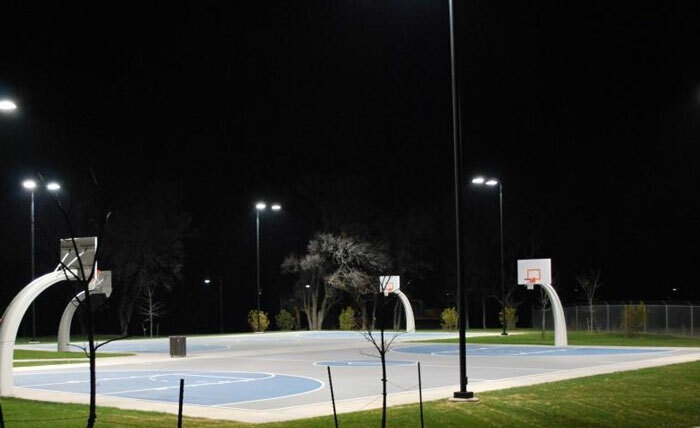 This luminaire’s Forward Throw reflector system projects light only onto the court area, avoiding glare. Opened in October 2014, the park serves as a prime location for recreation, private parties, and community events.